There are reasons why smaller guitars are quite popular despite their limitations. They do not have roaring acoustics; they are not even that as easy to use as their larger counterparts, but they are the best guitars for kids. One thing is for sure, smaller acoustic guitars come in very handy on almost any occasion. The Yamaha FG JR1 is a popular 3/4-sized acoustic guitar that could be the perfect companion for kids, travelers, and pretty much anyone who wants to carry a lighter, less cumbersome instrument. 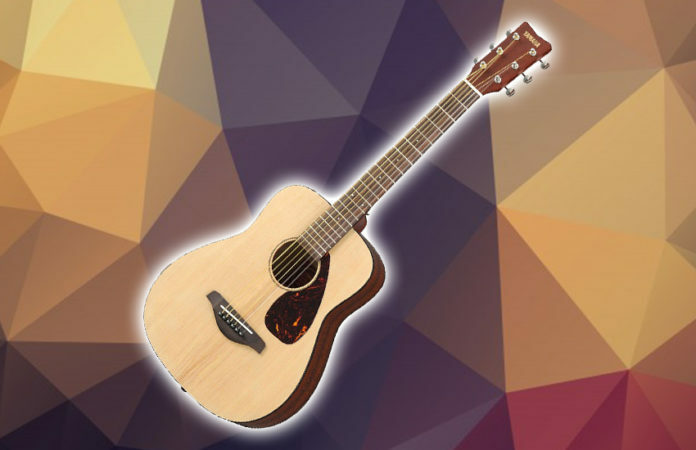 Find out why it is a favorite 3/4 acoustic guitar by critics and users alike. With the Yamaha FG JR1, simplicity is the name of the game. 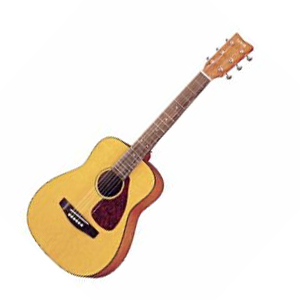 The maker opted to make a smaller 3/4 acoustic guitar in the shape of their popular FG folk guitars. The result? A balance between being small (but not small enough) and being comfortable to play with. Smaller players, beginners, and travelers can take advantage of the guitar’s portability as it is made to suit them. The size of the guitar, however, can be a bit of challenge among players with larger hands. In terms of hardware, Yamaha made sure that balance and quality is also an asset. The Yamaha FG JR1 features a classic spruce top, while the back and sides are made of meranti. Everything is laminated, a downside in itself for most pro players. But you cannot really expect too much from an affordable entry-level, in most cases. Despite that, the Yamaha FG JR1 has a lovely and simple finish with the black body binding accentuating the elegance. There is nothing special about the nato neck with satin finish and a rosewood fretboard with 20 frets. Although, it is really solid and convenient to move around. The body has a simple rosewood bridge with a compensated synthetic bone nut and saddle. The neck has an average set of chrome open-geared tuning machines. While the Yamaha FG JR1 looks like a generic, mass-produced model (well, it is), you can actually do little tweaks with it to make it more interesting. You might want to change the strings or change the setup — it is all up to you. In terms of sound, it is important to manage your expectations. We are not saying it is bad. 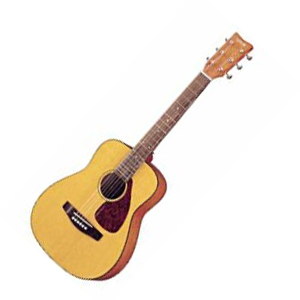 The Yamaha FG JR1 talks like a real acoustic guitar, like any other acoustic guitars. A pretty good tone, crisp and clean trebles, and solid mid-range — you get all those. On the flipside, the guitar lacks a bit of bass. The Verdict: Should You Buy Yamaha FG JR1? Hardware is an expensive part of any guitar. Many makers reduce the cost by using hardware that is different from what they advertise. The Yamaha FG JR1 may be cheap, you are guaranteed to get a decent body and components for its price. All in all, the Yamaha FG JR1 is a great 3/4-sized acoustic guitar, whether for beginners, kids, and travelers. It is not the best out there, but it gets the job done.